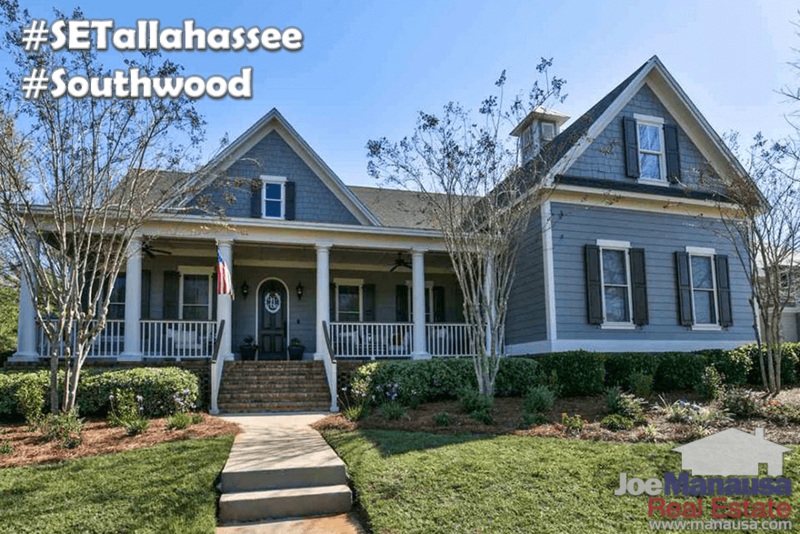 Southwood is the largest development on the south side of town and remains one of the top five selling neighborhoods in all of Tallahassee. As Tallahassee's first modern planned community, Southwood displays a degree of uniformity (in both style and maintenance), thus the neighborhood always looks clean and orderly. 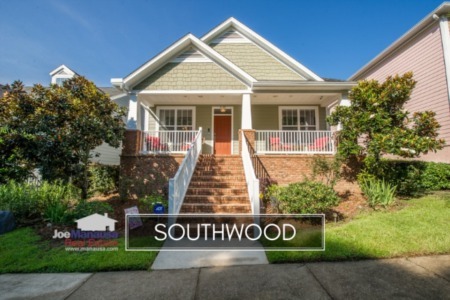 Southwood is a great choice for people who work in the downtown area, as you'll typically face far less traffic than do those downtown workers who live in NE Tallahassee. In this report, we will look at average home prices, home values, and home sizes in Southwood, as well as a table of more than 2,800 closed home sales going back to when sales first began in Southwood. It is important to note that the narrative contained below is for sales through December for all previous years, but through March in 2017. The graphs and the closed sales table will be continuously updated into the future (meaning bookmark this page if you always want to know the current status of homes in Southwood). Average home prices in Southwood are down 8% in the first quarter of 2017 versus the average posted for the 2016 calendar year. 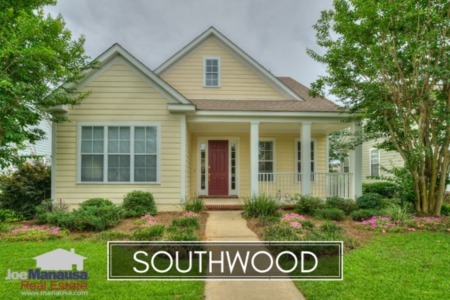 Currently, the average Southwood home price is below $300,000 and stands at $293,000, and it is important to note that only one sale has occurred above $500,000 in Southwood in the past eight months! There are sixteen on the market today, so make sure you work with a dedicated real estate buyer's agent if you are committed to buying at Southwood's top end. Activity in the Southwood housing market remains hot after recording a ten-year high number of home sales in 2016. Currently, there are 80 homes for sale in Southwood and 35 are already under contract. Average home values are up almost a percent so far in Southwood this year when compared to the average in 2016. When you look at the graph below, please recognize that it lumps detached homes with attached homes, new construction and existing homes all together, so use this figure just to recognize the direction of the market, not as a method to determine a specific home's value. Through March, the average value of a home sold in Southwood has been $147 per square foot. The average home size sold in Southwood falls in a range of 1,900 to 2,300 square feet, and 2017 has started off with the smaller homes selling. The 17 home sales thus far in 2017 have averaged 1,983 square feet. The following list shows all 2,800+ home sales in Southwood going back to its first year of sales in 2001. I hope you enjoyed our April 2017 update on home sales in Southwood, please feel free to drop me a note if you have questions not covered in this report.